During my early childhood, I didn’t know what a television was, and by the age of three, I was reading. 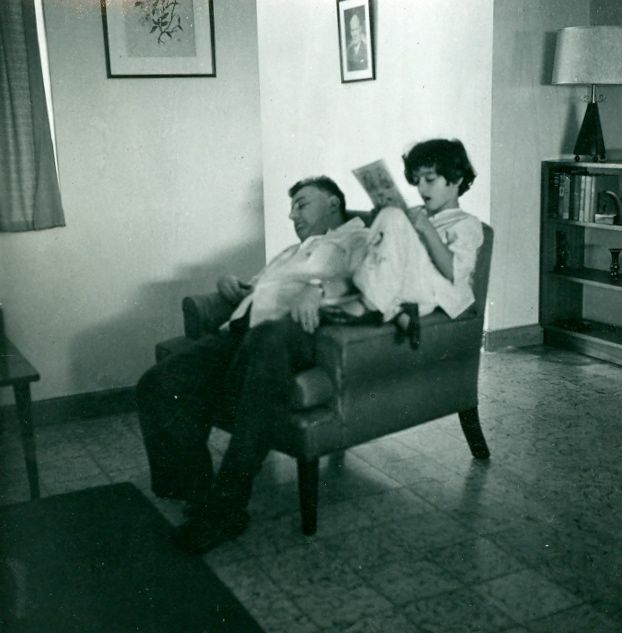 My proud parents were fondly indulgent while sipping their martinis, the hi-fi playing softly in the background, I laying on my stomach on the floor; bunny-slippered feet crossed at the ankles, phonetically babbling out long incomprehensible words from the Encyclopedia Britannica. Ah! But my older sister had a treasure trove of comic books! Dramatically draping herself over an armchair, she buried her nose deep in the colorful pages, dreamily blowing gigantic pink bubbles with a substantial wad of Bazooka Joe. Once I discovered the dazzling contents of the comics, I turned fickle, throwing over the boring old Britannica for my irresistible new passion. I banished the encyclopedia to its lonely corner of the bookcase where it lay moldering until I was compelled to open it again in another time and a completely different country to write an essay about something. I was particularly fond of Little Lulu. I had a headful of stubborn cowlicks that sprang from my scalp in all directions, but my parents encouraged me in my delusion that I had “very pretty curly hair.” It appears in my family photos, however, that my “very pretty curly hair” frequently fell victim to a pair of kitchen scissors and precisely because I couldn’t have them, I came to envy the two swirly curls on the top of Little Lulu’s oversized head. She remained my constant, beloved comic book companion until years later, when, as I lay my cowlicks on the ironing board in the basement to iron them flat, she karmically (but not comically) abandoned me as swiftly and dispassionately as I had once abandoned my beloved Britannica. Well, I really enjoyed this one. Genius again and I love the last paragraph! Susan. The picture is worth one thousand words. Love it. I love the way you write! Apparently reading the encyclopedia didn’t hurt! And, of course, I now also know where you got your quick and clever wit. Little Lulu… who knew?